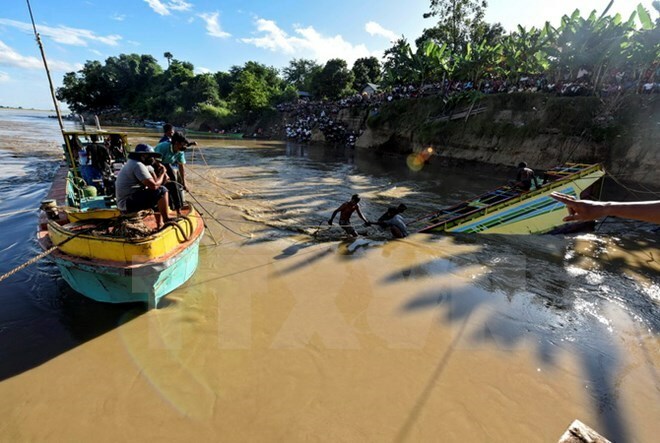 Hanoi (VNA) – Four people were killed and 11 went missing after a ferry capsized on December 21 offshore the town of Real, 70km east of the Philippine capital city of Manila, according to local authorities. As many as 240 passengers were rescued, with most of them brought to Dinahican port. Spokesperson of the Philippine coastguard Armand Balilo said the search and rescue mission will continue until the state of all people on board is identified. However, efforts to rescue other victims could be affected by heavy rains and strong waves triggered by a storm. Earlier, local media reported that a ferry heading to Polillo island capsized due to rough seas.